Send the right emails at the right time. 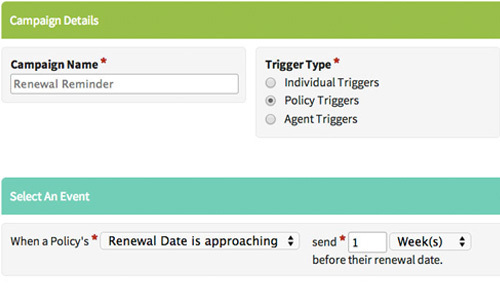 Use the fields in your AgencyBloc account to target the right audience. Fields such as renewal date, birth date, term date, coverage type, and more can all be used to build the perfect list. Send targeted emails to the right people at the right time. Send one-time and drip emails. Mass email campaigns are used to send one-time email communications to a list of recipients such as sending a newsletter to your current customers or sending a set of emails (drips) to perform cross-sell campaigns. No more exporting lists from one system and importing them to another. 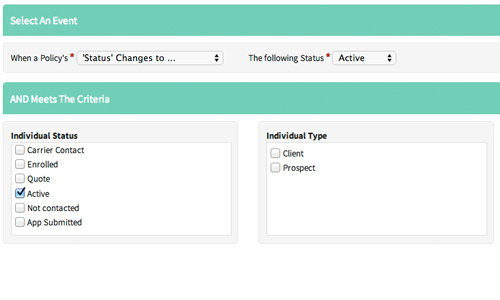 Just filter your list of recipients and send the campaign all in one, easy-to-use software. Or, set up a campaign and let it run. Automated email campaigns are used to send sets of emails (drips) based on date/time events such as a renewal date approaching or a customer is turning 65 as well as action-based events such as when an individual changes from a lead to a customer. Automated email campaigns are ongoing; you set them up once and AgencyBloc takes care of the rest. 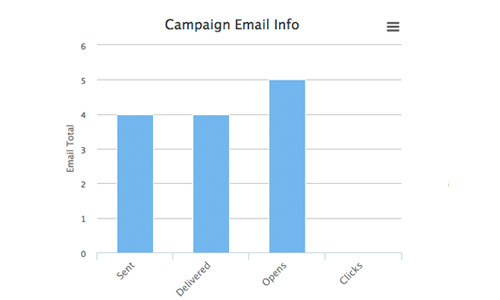 Monitor the performance of all your email campaigns. Visually appealing graphs make it easy to see trends in each of your email campaigns as well as your email marketing effort as a whole. 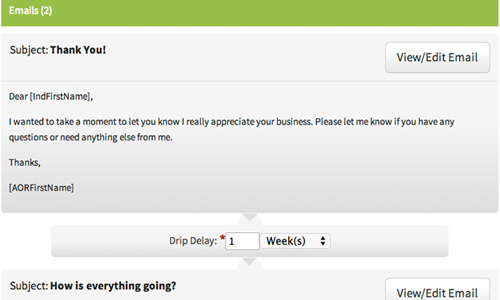 Drill down to understand how every email that you've ever sent has performed. See who received your emails, who opened them (and who didn't), and which links they were most interested in.